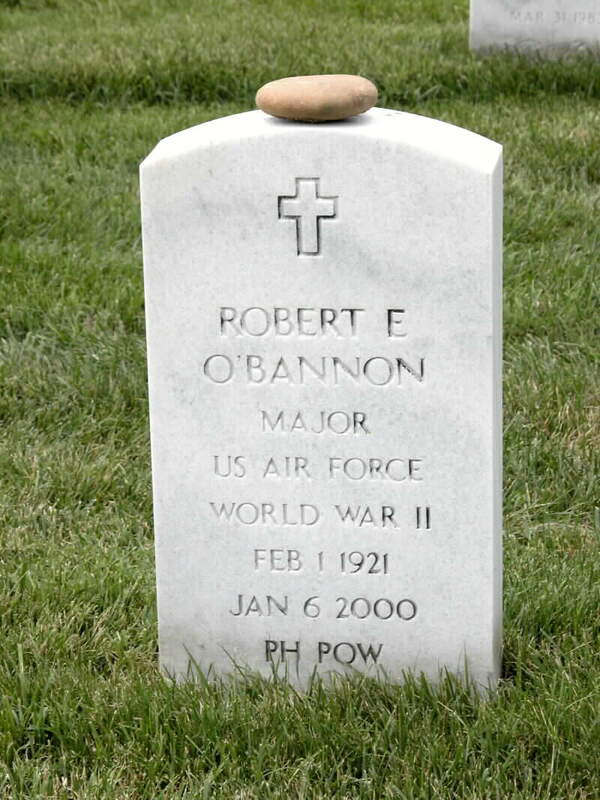 Services will be Saturday for Robert E. O’Bannon, who died January 6, 2000, at his home in Watsonville, California. He was 78. Major O’Bannon was born in Albuquerque, New Mexico. He was a longtime resident of Whittier, California, until moving to Watsonville four months ago. During World War II he was a B17 bomber pilot. He was shot down over Germany and spent 11 months as a POW. Later he worked as a building inspector for Los Angeles County. Major O’Bannon wrote a novel, “Return to Sagan,” based on his visit to the internment camp, Sagan, in Germany. Major O’Bannon is survived by sons Jeffrey and Daniel O’Bannon of Watsonville and Lawrence O’Bannon of Felton; daughters Helen Jo Poulton of Dana Point and Victoria McCharen of Aptos; sisters Evangeline Hughes of Monterey Park and Melba Sheets of Arroyo Grande; 10 grandchildren; and nine great-grandchildren. A chapel blessing will be noon Saturday at Davis Memorial Chapel, 609 Main St., Watsonville. A vigil service will be 7 p.m. Friday at Davis Memorial Chapel. Friends may call at the chapel from 1 to 5 p.m. and 6 to 9 p.m. Friday. Private burial will be at Arlington National Cemetery.